Our life matters. Choosing recovering relationships will bring us great joy and great recovery. Our life matters. Choosing recovering relationships will bring us great joy and great recovery. This RECOVERY is a choice we can make. It’s very easy to look for recovery outside ourselves; in a relationship, a dream job, or the perfect body weight. When we chase recovery externally, we’re simply looking for Recovery in all the wrong places. The outside search is based on false projections we place on the world. These projections build up a wall against true recovery, which lies in the child within us. We need to understand how nothing “out there” can save you from the conflict that resides within us. You must develop a contact with ourselves to begin enjoying life altogether. Each time we make this shift and choose happiness, we experience our recovery. Our mind shifts from fearful delusions and reconnects to our truth, which is contact with our child within. Creating these shifts requires a dedicated commitment to choosing recovery. 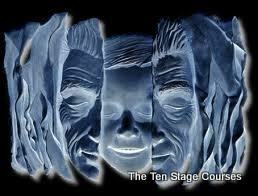 To begin our commitment to our new perceptions, of contact with our child hidden within we practice The Ten Stages. The more we retrain ourself to choose our released intuitive voice over fear, the more recovered we will become. Repeating our new perception is what makes our contact stick. When we repeat a new contact with our child within often, we are literally changing the neural pathways in our brain. This shift helps true recovery settle in. Recovery is our choice. We can choose today. Your energy has far more power than you can even imagine. There is energy in your spoken words, in your emails, and in your physical presence. When we function from a fearful, low-level energetic state, our thoughts and energy can literally pollute the world. Conversely, when we function from a place of positive energy, the world around us becomes more positive. The truth is that fear cannot coexist with love. Therefore, we must learn how to dissolve all boundaries with love by taking responsibility for our own energy. In doing so, we’ll raise the energy around us. Now, let’s get this miracle train on the tracks and start busting through your blocks, releasing anxiety and living a fearless life. Let’s begin creating Miracles Now. We would rather die in the prison of our own making than learn to live free in the wilderness. Labels: Our life matters. Choosing recovering relationships will bring us great joy and great recovery.